WingX Pro7 is a multi-platform Electronic Flight Bag for pilots, helping them plan their flights, fly more safely, and review completed flights. WingX Pro7 has been the #1 Top Grossing Navigation iPad App in the Apple App Store for over 4 years. With an easy-to-use look and feel across Apple iPhone and iPad, Android phones and tablets, and Amazon Kindle Fire devices, WingX Pro7 (tm) offers an incredible array of features. 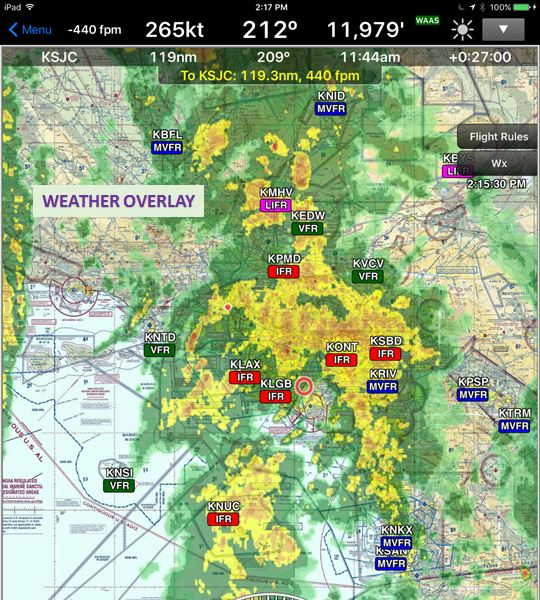 WingX Pro7 also offers integration with more external devices than any other aviation app. 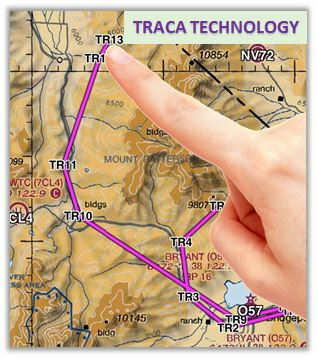 •	traca (tm), a patent-pending technology that allows pilots to trace routes with their fingertips on their mobile devices. 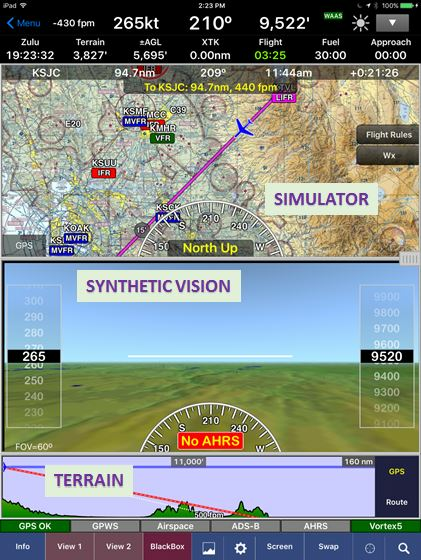 •	Terrain Underlay (tm), a WingX Pro7 innovation, allowing pilots to add transparency to the enroute charts and display a visual of the terrain below. •	SmartTaxi (tm), highlighting runways pilots are on or approaching. •	FlightShare (tm), allows users to share plans across devices or around the world. o	GPS Speed, Track, Altitude, and WAAS flag. 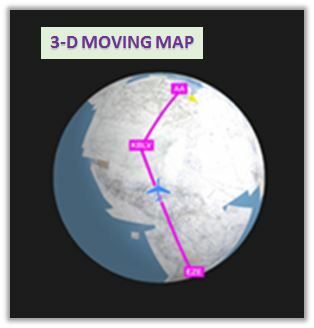 o	Estimated Time Enroute (ETE), Estimated Time of Arrival (ETA), Desired Track (DTK), and Distance to the next waypoint and the destination. o	Battery indicators for both the Pebble and the iPad or iPhone. o	A configurable timer for timing fuel or instrument approaches. 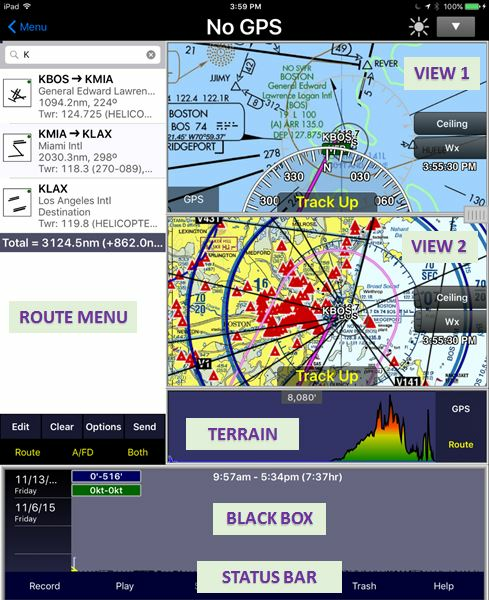 •	Cross-platform support – WingX Pro7 is available for iOS, Android, and Kindle Fire devices, and can be installed on all three platforms with just one subscription. 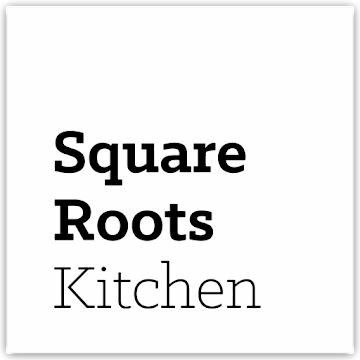 For example, you can install WingX Pro7 on your Android tablet, iPhone, and Kindle Fire.  No other aviation navigation app can do that. •	Free to Instructors – WingX Pro7 is completely free for Certified Flight Instructors – the only app of its kind to make such an offer. •	Helicopter Routes useful to pilots navigating in areas with high concentrations of helicopter activity. •	Helicopter Gulf Coast Charts for helicopter operations in the Gulf of Mexico region including offshore mineral leasing areas and blocks, oil drilling platforms, and high density helicopter activity areas. •	Terminal Aeronautical Charts (TACs) with large-scale portrayal of selected metro complexes providing more detail than those found in Sectional aviation charts, intended for pilots operating from airfields within or near Class B and Class C airspace. •	Grand Canyon Charts for tour operators displaying a higher detail level of information for tour managers in an area with extremely busy air activity. •	Grand Canyon Charts for general aviation, generating very precise information for pilots flying over the busy Grand Canyon air space.